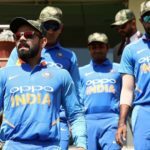 India spinning legend Harbhajan Singh says India should boycott their clash against Pakistan in the 2019 Cricket World Cup. 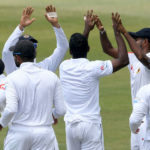 The Proteas suffered yet another top-order collapse as they posted 89-4 at lunch on day one of the first Test against Sri Lanka. KHALID MOHIDIN reports. Beuran Hendricks finished with 4-14 as the Proteas restricted Pakistan to 168-9 in the third T20I at SuperSport Park. KHALID MOHIDIN reports. The Proteas won the toss and will bowl first in the third T20I at SuperSport Park. KHALID MOHIDIN reports. 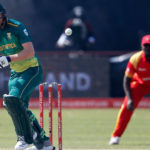 The third T20I at Centurion could be the last chance for players to show World Cup selectors their worth, writes KHALID MOHIDIN. Exceptional death bowling from the Proteas saw them defend 189 to clinch the T20I series against Pakistan with a seven-run win at the Bullring, reports KHALID MOHIDIN. 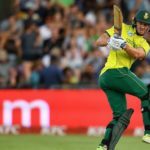 David Miller blasted a 29-ball 65 to lift the Proteas to 188-3 against Pakistan in the second T20I at the Bullring, reports KHALID MOHIDIN. 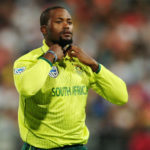 The Proteas have lost the toss and will bat first against Pakistan in the second T20I at the Wanderers, KHALID MOHIDIN reports. 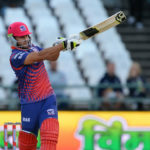 Faf du Plessis says he is delighted how Reeza Hendricks has added consistency to his game, writes KHALID MOHIDIN. 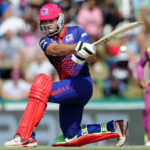 Janneman Malan could receive his debut as the Proteas take on Pakistan in the second T20I at the Wanderers, writes KHALID MOHIDIN. 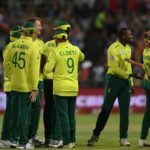 The Proteas face a difficult challenge when they take on the No 1 T20 side in the world at Newlands on Friday, writes KHALID MOHIDIN. 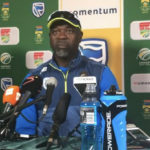 Ottis Gibson’s press conference after the Proteas’ 3-2 series win against Pakistan.